Laween is in his early 20s and a British born, first generation Kurd living in the UK. At this young age he has done more for charity and the community than many do in their entire life. His contribution and willingness to learn and grow through this type of work has (I am sure) also helped him professionally – he is the Chief Research Officer at one of the NHS Hospitals. I really do recommend anyone to take up the chance to do more than just your normal job if you can – you will be amazed at the outcome – both personally and professionally. I met Laween Atroshi and another representative of the Kurdish Community in the UK at Heathrow’s check-in for the first time. We had spoken several times after he approached our projects and logistics team following a Google search for “free books”. 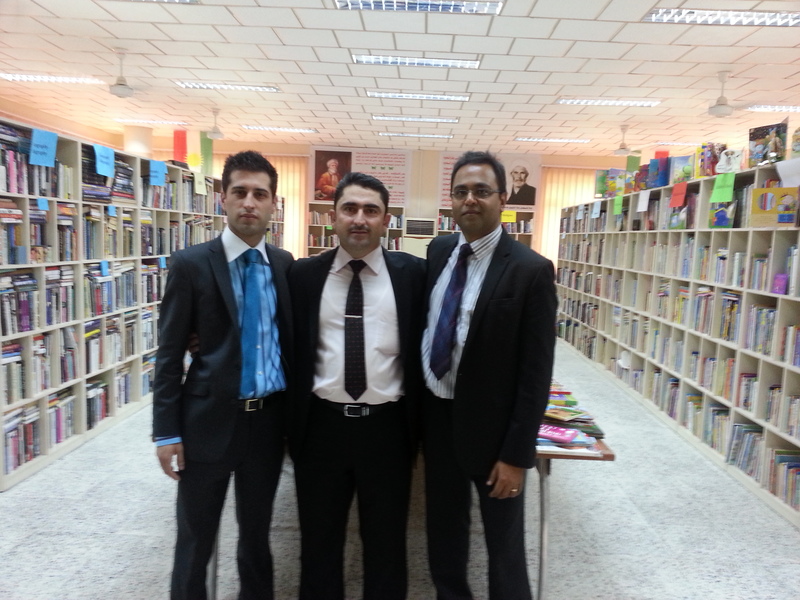 Cheekily he asked us for 20,000 to help set up the first English Library in a town in Kurdistan, the northern region of Iraq. He asked, he got. Laween also had the insight to appreciate that we, like others in the past, were probably worried about wastage of our donation along the way. He arranged for the Ministry of culture and Media to arrange and pay for the transport as well as vetting our donated books on arrival for suitability, as well as finding a good site to run this free service. 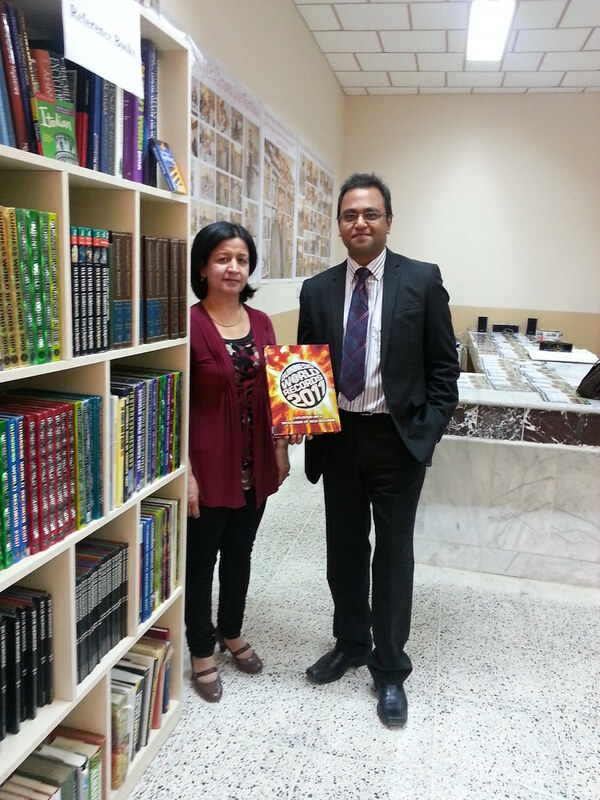 Plus he offered us the chance to visit the books and view first hand that there was a real hunger for our books. Surprisingly the Healthy Planet team members who had been dealing with Laween did not jump at the chance to go to Iraq, but nominated me instead! As my wife was not with me, she did correctly predict I would suffer (not sure what she meant at the time) and embarrass myself too. Firstly I got several looks of “I don’t understand” and “why” when Laween tried to explain my veggie status at restaurants. The hotel we stayed at did not even serve the emergency veggie protocol dish of “chips” – so you can imagine what happened to my eating and related body parts! Speaking of which Iraq, like India, still has many of the squat style toilets – I almost wrote ‘old fashioned’ but really I should probably write ‘healthy’. After all, it stretches and massages muscles that most of us in the western world forgot existed; you carry less baggage (so to speak) at the end of your visit and you probably gain a few minutes a day because you don’t sit around chilling in these ones. Also less of this region’s precious commodity, water, is used in this system. Hygiene issues tend to arise because of the heat and the wider infrastructure – Toilet Humour aside, lessons can be learned by both the East and West on this subject. Let’s make Number 2, the new number 1. The no hanky panky rule before marriage and focus on family is a big difference to life in the UK. My cultural boo-boo came because I was caught with my trousers up so to speak. Here it is considered rude to have one knee crossed over the other when seated in the presence of your elders. Laween asked me to keep both my feet firmly on the ground at all times. To avoid the bonus embarrassment of being explained this in public, he sent me a text even though he was sitting right next to me – what a gent! Whilst in Kurdistan, I was asked by a museum curator and the head of an arts centre if our library included any music scores or archaeology. I don’t think the Guinness Book of Records from the late 80s or the singing Bob the Builder were what they wanted, but there was probably one or two treasures to dig out from the 20,000. However, what set my mind at ease the most, about whether 20,000 books would be appreciated as much as by our UK Books for Free Centre visitors, was when I was approached by one of the junior staff at my comfortable, but not fancy hotel. his story goes like this…. Laween and I had checked in at the hotel from our flight at 4am and re-emerged from our rooms at 0930. This very young helper in the breakfast area had heard me and Laween talking in English about our plans for the trip – there was no mention of books or the library at this stage. He later approached me and a very eerie thing happened. He asked me for a book in English! Given why I was there, you might be surprised, but I did not have one. He explained that he previously was an English literature student from Syria but now a refugee in Kurdistan and he really wanted to learn English and progress. He had the drive but not the resource. In my many travels I have been asked for clothes, food, money and toys but never books. Perhaps it was a sign from the book god! Anyway over the next few days (after the library opening and being spotted by a taxi driver who saw us on the news) I was able to show him pics of the books and share the address of the library with him. Of course, as well as ‘books’ one of the other favourite words in the healthy planet dictionary that came up during this conversation was ….’free’. He was clearly one of the citizens of the area that would not have been able to pay to learn if this was a charging library. Books. Free. Interested audience. Job done. I used to work at a travel agent and have seen the positive and negative social, environmental and economic (triple bottom line) impact of tourism and travel in general. I don’t have any qualifications on the subject but have an inquisitive mind and normally have a family in tow so notice lots of otherwise unnoticed things. This is my first journey as a lone business-style traveller for a while and I have had a little more time than normal to make some observations. Alot of the similarities and differences between countries and climates come down to the weather, cultural and economic climate of the nation and their priorities. In Kurdistan that point really hit home when I got to the front door of the Save The Children office here. Laween and I were asked to leave our guns at the front before entering the building. This is clearly quite a normal question here and not something I am used too (well, not since being searched at a London tube station just after 7/7 when I had a full rucksack and a 6’ roller banner in a bazooka looking tube hanging off my back – a fair spot check, I think). With their relatively recent history of persecution you can understand why health, security and infrastructure rank ahead of promoting green things like recycling. So although there are plastic water bottles and coke cans on the hillsides and picnic spots it did not actually seem to be much more than what I have seen around the UK. These guys are broadly speaking very proud of their homeland. Also, although globally, we have started to question the plastic water bottle for its non-green and unhealthy status, we should not forget that it is us that are not recycling 7 out of 8 of them (they do not walk to the recycling centres themselves). Also, here in Iraq I am not the only one grateful for their existence at the moment – they are helping reduce the spread of the cholera outbreak . I am sure some clever spark will find a triple bottom line winning answer to the modern day equivalent of the Chicken and Egg question. Many of the hotels are not progressed enough to have the ‘signs’ indicating whether you want your room made up or not; reusing towels; recycling bins etc, but the staff do make an effort to accommodate your needs and do some small things that make sense in their climate. For example power cuts out are not uncommon, so they have back-up generators, and electrical products are relatively costly and harder to repair, so whenever they clean the rooms (and between visitors) the TV and satellite box are switched off from the mains. Travelling can be relaxing and stressful at the same time, making it hard for the hotels etc to get anything right in the eyes of a moody, stressed traveller. A lot of the time if the traveller is given the chance to understand the ‘why’, they accept the reason and get less agitated – but that requires 2 things – an attempt to communicate by the business and a willingness by the traveller to overcome the temptation of the “I have paid for it” mentality we all succumb too sometimes. I even came across it at my local gym when (after ignoring several past opportunities) I politely asked a fellow shaver to turn off the tap between dunks of his blade because of the drought. “Who is paying for it” and what “it” is, are both part of another story for another day. The leisure and travel sectors are on Healthy Planet’s “To Work With” list, so if you feel you know an organisation that wants to take the lead then give us a shout. That’s how www.booksforfree.org.uk and www.stuffforfree.org.uk started. ← There is no planet B: Can Art inspire change?